Home > View all post > What kinds of people use e-cigarettes? What kinds of people use e-cigarettes? Many people want to continue to experience the enjoyment of smoking, but without all the negative issues associated with tobacco cigarettes; this includes the offensive odour, the ash and the potential risks to a person's health. E-cigs provide a fantastic alternative to tobacco cigarettes as they provide a very similar experience to smoking a real cigarette but without all the negative odour. Many people feel frustrated that smoking tobacco cigarettes in indoor areas is frowned upon and not socially accepted, and this often leads to them needing to interrupt their night out to go outside to smoke. If you are a sociable person who loves being with others, enjoys going out and socialising but doesn't like interrupting your night out, then electronic cigarettes provide the perfect answer. They can be enjoyed in many private indoor areas as they don't produce any smoke and therefore no offensive odour or dangers to others from breathing in second hand cigarette smoke. Employers want their staff to be as productive as possible so seeing them leaving their desks to go outside for a cigarette break for 5 minutes of every hour doesn't equate to maximum productivity. E-cigarettes are now helping employers to put a stop to continuous cigarette breaks as many have now agreed to them being used in the workplace. There are many people who live most of their lives from home (such as those who work from home or are stay at home mums) and want to keep their home looking and smelling clean and beautiful. They want it to be free of ash trays and offensive odours, yellow stains and burn marks but they still want to enjoy the experience of smoking. The good news is that e-cigarettes are able to provide all of the joys of smoking but without the smell, unsightly ash trays and damage to the home. Smoking traditional tobacco cigarettes is a very expensive habit. However, e-cigs work out to be much cheaper; once the initial equipment is purchased, the cost of maintaining them is much lower and a lot of money can be saved over time. I think I’m probably one of the people being mentioned in the article under “People looking for a healthier lifestyle”. I’ve got a family history of smoking related-illnesses, and naturally this is something that I’ve worried about going through myself. It felt like the time was right to change now that the technologies there to have a real alternative. For a lot of years I’ve endured the taunts in my circle of friends for being a dirty smoker – having to choose between puffing in everyone’s face, or more likely going outside to be considerate (usually alone), but this won’t be a problem for me any longer –I’ve used e-cigs to leave all this behind, and I couldn’t be happier. 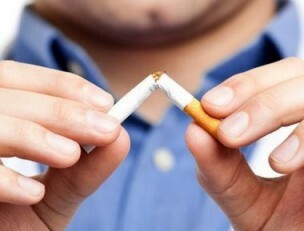 I think most smokers, if they were honest, would admit that this is a better option. I was never really a true smoker, but something about being at a social event, enjoying a nice glass of wine always made me have a cigarette with my friends. Eventually I became a weekend smoker, and before I knew it I bought a pack of cigarettes. But I found this website and ordered an e-ciggy, and its one of the best decisons I have made! I can still soclalise but not destroy my lungs. And the best part is that e-cigarettes don't leave that disgusiting smell on your clothes, hair and breath! Great points. I love my apartment and always have kept it clean of smoke when I smoked cigarettes. I like this point. I always use my e-cigarette indoors and it has never become a problem odour wise, it is much better then smoking real cigarettes! my boss is totally cool w/me smoking these during my breaks or alone in my office. I appreciate that. Very cool. Ecigs are a very expensive habit too. I gues that's why you call it a vice. I think everyone should switch over to e-ciggies. They are healthier for you and those around you and they are more sustainable than the real thing. I use it just do I don't seem like a jerk to my colleagues﻿. so far so good.